Stephen Snedden has been described as the inventor’s inventor and on meeting him it’s not hard to see why. He has an infectious enthusiasm, a can-do attitude and a willingness to share his knowledge. 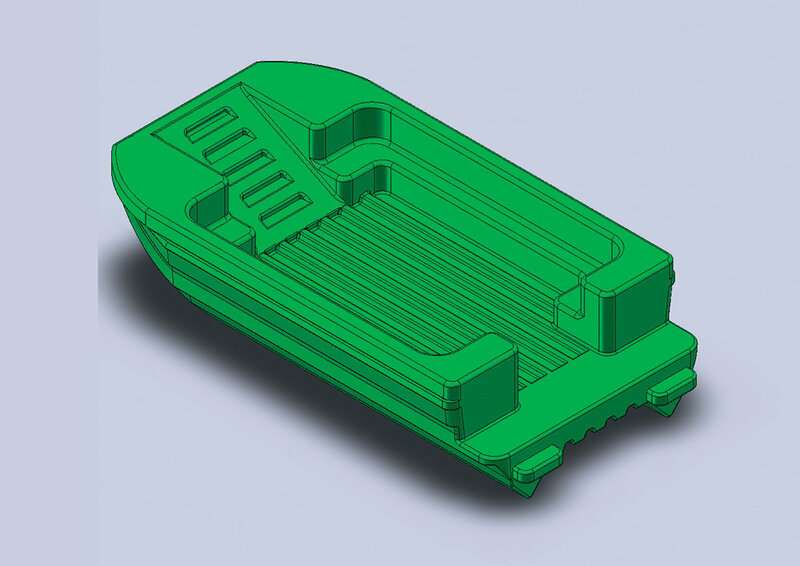 Stephen’s latest project is a 3.9 metre-long, rotary moulded plastic catamaran with a 1.9 metre beam that he has designed and built the moulds for. But his story begins a long time before that. Brought up on a lifestyle block on the outskirts of Waiuku, Stephen got an early start in engineering, modifying and building mini-bikes and go-karts in his father’s shed. He started his career as an apprentice fitter and turner at the Glenbrook steel mill. While there, he won the 1989 National Youth Skills Olympics in Constructional Steel and went on to represent New Zealand at the International Youth Skills Olympics in Birmingham, England. To gain design and manufacturing experience, he left Glenbrook and spent eight years working with an entrepreneur /inventor on a universal spanner project including helping him set up a manufacturing plant in Asia. 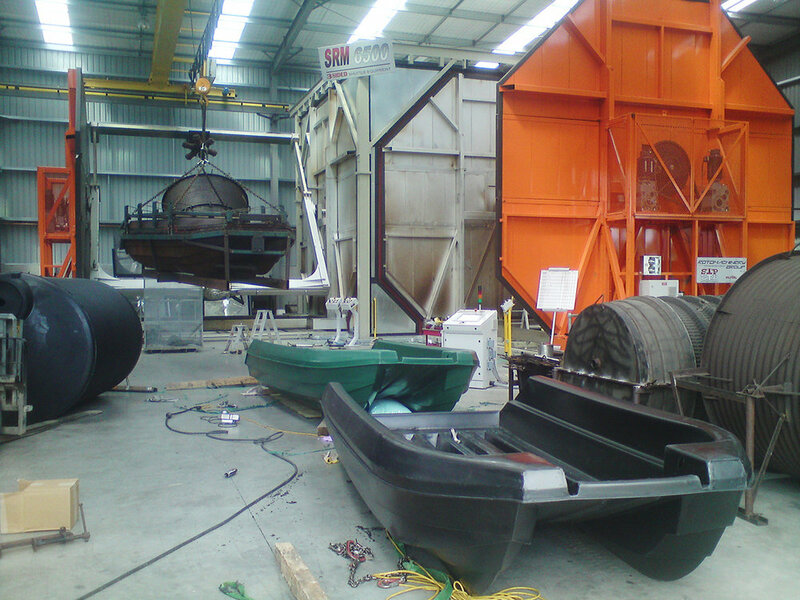 Another project he helped develop was a range of trailerable barges for marine farmers. One in particular was a ten metre x 4.8 metre folding barge narrow enough when folded up to be towed behind a car. It could be unfolded and launched single-handed and would support up to ten tonnes. The venture didn’t really fire despite their efforts. Stephen decided it was time to work for himself. Most moulded plastic boats appear to be designed for easy moulding rather than for seagoing performance. The Seahull is an exception. When you examine the boat, it is clear that a lot of thought has gone into the design. The floor is wide and uncluttered and is well supported with no soft spots. It can be covered with carpet, plywood or aluminium tread-plate. The demo-boat has a 30 hp outboard but twin 15 hp motors can be fitted and it can handle up to 50 hp. A centre keel diverts water away from the outboard leg, eliminating spray and allowing use of either a long or short shaft. Being plastic means it takes knocks and abrasion well and can be easily repaired or modified. Stephen sees the boat as being an ideal work boat, or for fishermen, duck shooters and hunters who want something stable, robust and easy to handle that won’t break the bank. The boats are also ideal for the Pacific Islands or for disaster relief zones.He’s had inquiries from Australia and Asia and has exported his first boat already. While the Seahull is his current focus, an unfinished amphibian Land Rover project is hidden out the back. Stephen says it’s been a challenge but it’s almost complete and just waiting for some time to finish it off. 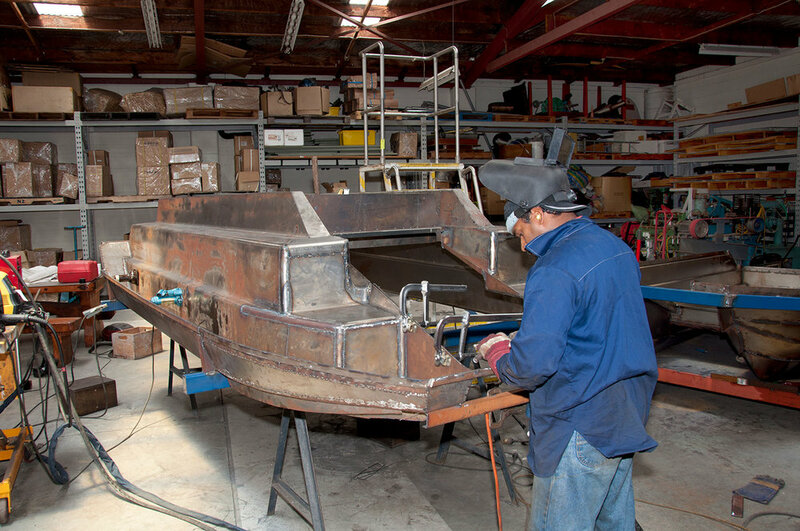 In the meantime, he says his main business of selling welding equipment, welding training and making and marketing his boats is keeping him quite busy enough. 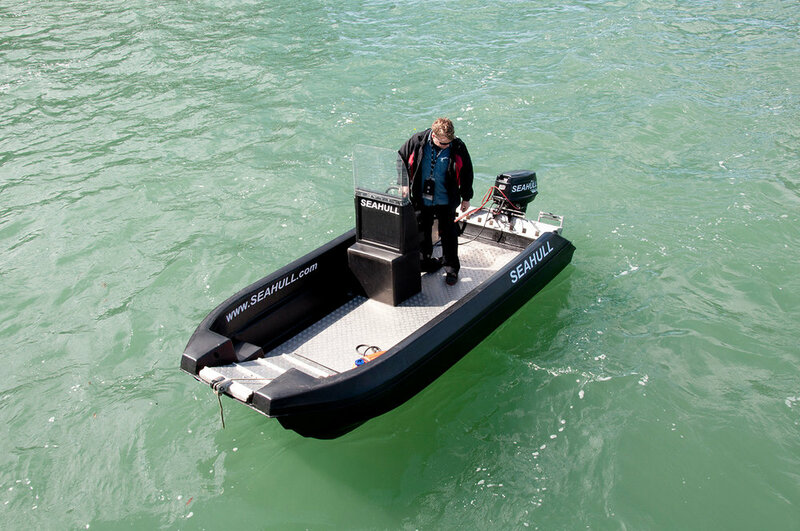 The Seahull, weighing 200 kg as a bare hull, is intended as a workboat whether a dive platform, ferry or simply a means of transporting material and tools. The basic design is a catamaran with asymmetric hulls. The tunnel between the hulls provides lift and cushioning from air forced between the hulls. A middle skeg provides some protection from debris for the outboard leg and helps to keep the propeller in clean, turbulencefree water. The hull is made of 8 mmthick tough roto-moulded polyethylene. It is light, strong, nearly indestructible, easily and cheaply repaired, UV resistant and impervious to chemical and water damage. The double-skin hull can be filled with foam or hatches can be added to allow the hull space to be used for storage. Moulded blocks in the front corners allow for seating that can used as additional storage with the addition of hatches The mid-bow section is shaped as a ramp. This can be left as an integral part of the hull, or alternatively cut away in one piece and structured to hinge and provide a drop-down ramp that can float. That allows for easy access off the beach and can be used for hand trolley or wheelbarrow loading. It can also be designed to accommodate small quad bikes or wheelchairs. The shallow draft and light weight equally allow for easy loading off the beach or shore. 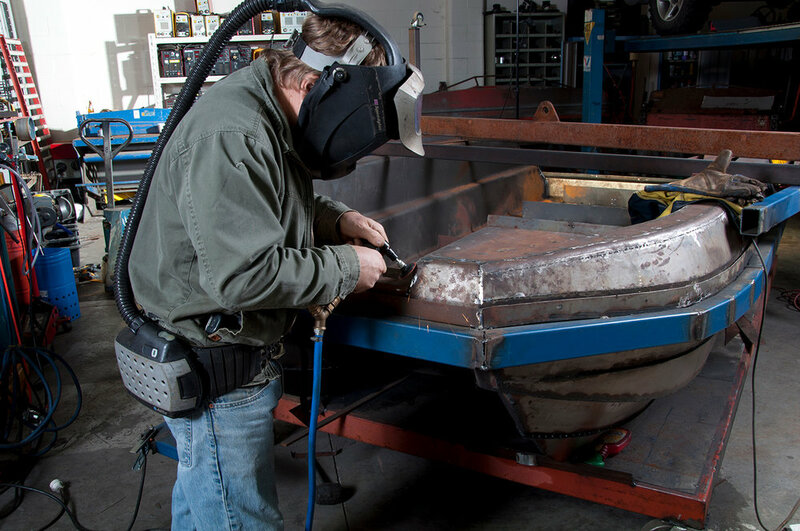 The boat’s twin hull design, with deep Vee and multiple hard chines to deflect spray, makes the Seahull capable of handling good seas and yet providing a soft dry ride. The design is also very flexible, with variations possible on the standard tillersteer including a centre console or offset console. The buoyancy of the two hulls keeps the boat level, even with an operator standing to one side. This configuration is the ideal design for a rescue boat it allows for the maximum possible area for a stretcher, or as a workboat where cargo space is important. The centre console models are more likely to be popular with recreational users. The console is also rotational moulded from polyethylene and comes with a windscreen for the operator. The transom is designed to take up to three motors and it can handle most engines in the 5 hp to 50 hp range. The floor of the boat is tread pattern aluminium as is the transom and bow ramp but the floor can be made from suitably painted wood or plywood. The deck is slightly above water when normally loaded and the cockpit is a self-draining deck. 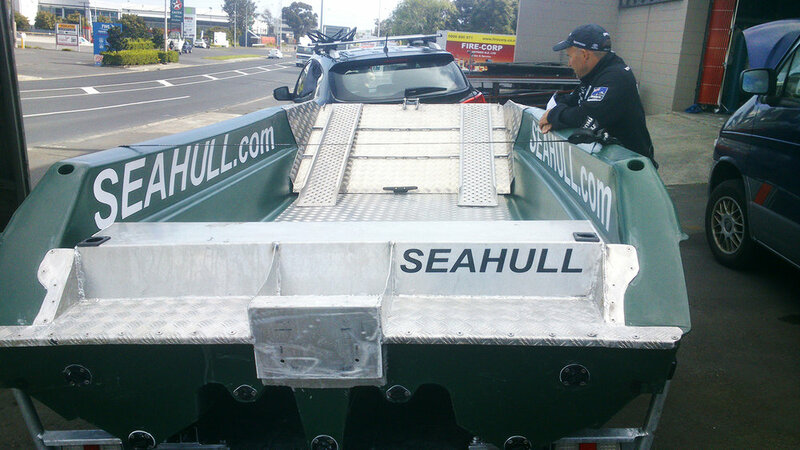 The Seahull comes complete with its own trailer and has tow weight of approx 450 kg.